On Tuesday, June 12, 2018, a federal judge ruled in favor of two Christian colleges that were suing the government regarding the Obama-era contraceptive mandate that would force them to pay for the birth control and abortions of employees. This comes after six other Christian schools won their lawsuits over the past two months. Under former President Barack Obama’s health care reform, employers who provide health care to employees were required to pay for abortion and birth control as well as other family planning services. There were no religious exemptions allowed and if organizations refused to cover abortions, they would be forced to pay fees. Dordt College in Sioux Center, Iowa, and Cornerstone University in Grand Rapids, Michigan, sued in October of 2013 arguing that the mandate forcing them to pay for abortion-inducing drugs and potentially abortifacient “emergency contraception” violated their religious freedoms. In May, four private Oklahoma universities won their own lawsuit against the mandate, and a California university and Indiana seminary both won their case in early June. In each instance, the schools were represented by Alliance Defending Freedom. 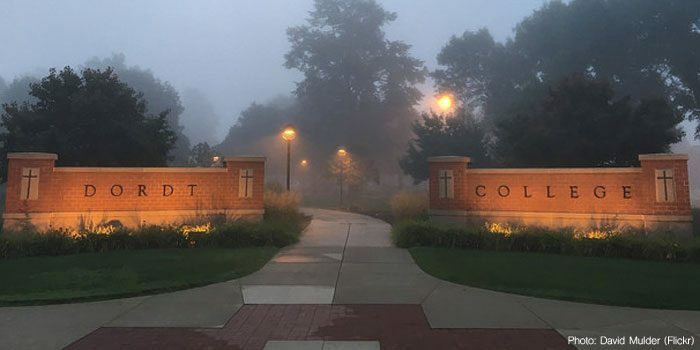 After the U.S. Justice Department dropped its opposition to the lawsuit, U.S. District Court Judge Mark W. Bennett in Cedar Rapids, Iowa, ruled that the Department of Health and Human Services (HHS) no longer could enforce the mandate against Cornerstone University in Grand Rapids and Dordt College in Sioux Center, Iowa.